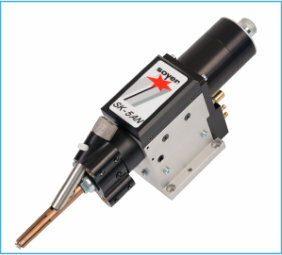 The compact SOYER stud welding head has a unique and patented semi- and fully automatic stud feed system (Pat.No.  0406459) and can be easily and rapidly converted to other stud diameters. 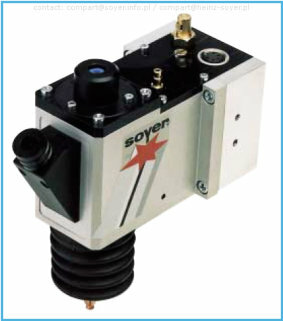 Compact welding head with digital display indicating the height of lift and immersion depth. Area of application M3 - M8. 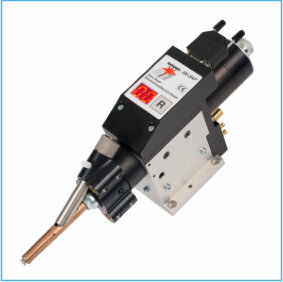 Multifunctional welding head incorporating all elements for gap and contact welding in a single compact housing. Suitable for weld studs from M3 - M8. 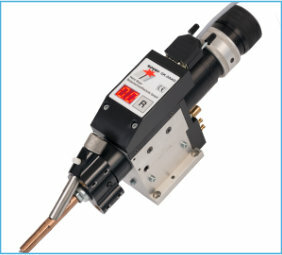 Slim and compact welding head that can be easily and rapidly converted to other stud diameters. Area of application M3 - M8. 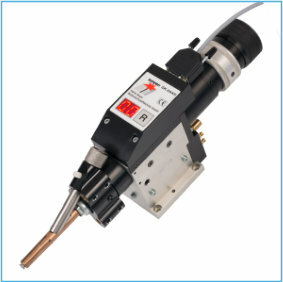 The SK-1A miniature welding head allows studs to be fed semi- and fully automatically. 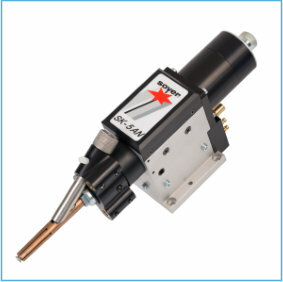 It is ideal for use in narrow locations and areas of difficult access and can be easily connected to stationary machining centres, CNC stud welding machines, robots and handling systems etc.